Point, shoot and … what? From amazing architecture to abandoned places, sometimes the subject is at the center of compelling and creative photography techniques and photographers – but at other times the types and approaches take the proverbial cake. These fascinating photography techniques take the art of image-making into entire new dimensions. Some photographers seem to freeze, slow, or speed up time. Others like Will Pearson rotate our views in dizzying directions elevate our views to dazzling heights. 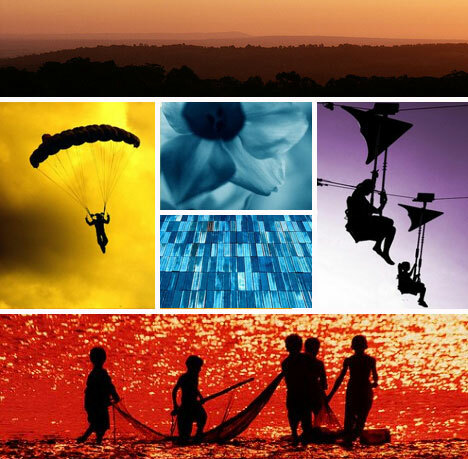 Featuring eye-popping works from 3D, panoramic and high-speed to infrared, HDR and tilt-shift photographers, here is a visual guide to ten of the world’s most awesome ways to take a photograph. Who says photography is limited to what a standard frame or even a panoramic one can see? 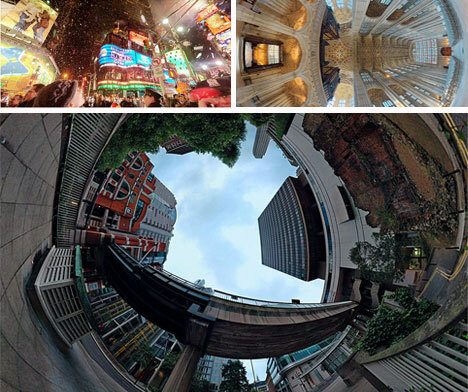 Some photographers shoot entirely in the round, creating amazing full-circle spiralling panoramas or even fully-mobile three-dimensional shots that can only be viewed via computer. 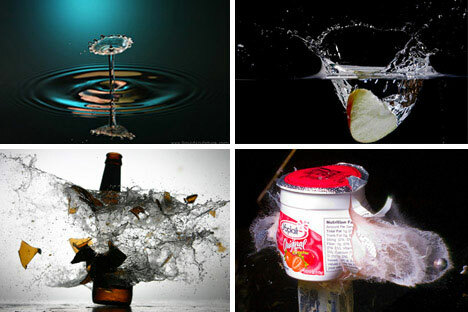 While most images capture moments in time that any ordinary human could see some high-speed shots provide us with photographic glimpses of faster-than-sight phenomena invisible to the naked eye, from bullets piercing bottles to aesthetically splendidly water splashes. 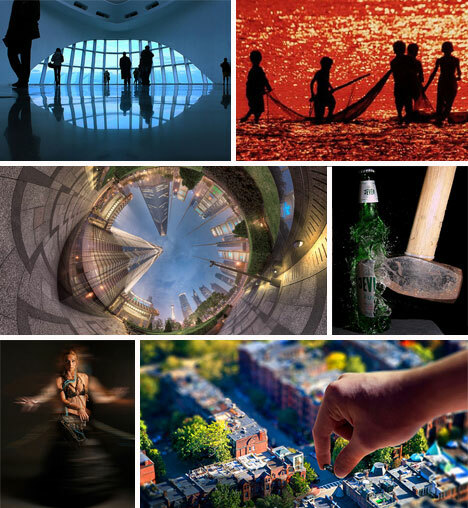 At the opposite extreme from high-speed photography lies the vast world of motion-blur imagery. 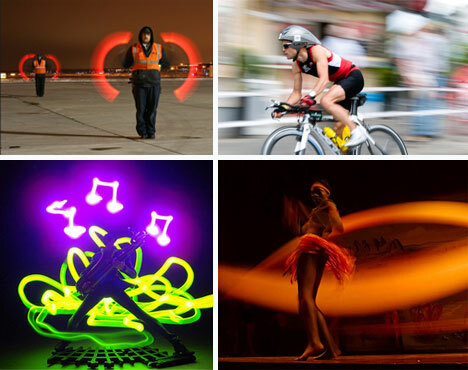 From a single time-lapse shot it can be possible to see many moments collapsed into one and create permanent montage artworks from ephemeral events. Employed to the extreme and they can seem like gimmicks but taken to just the right degree and color-altering approaches like infrared and HDR can take ordinary scenes and make them extraordinary, enhancing contrast and rendering some aspects of an image more real than reality. Night photography can bring out the best in photographers, playing on subtlties of shadow, shade and contrast not visible during the daytime. 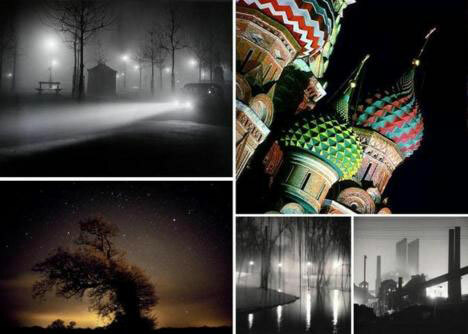 These photographers range in their approaches but universally add something new to the art of creating nighttime images. Black and white is, of course, where photography began – but is not at all where it has ended up. However, some contemporary photographers have reclaimed this original art and applied new techniques to the old approaches begun by the original masters of photography. 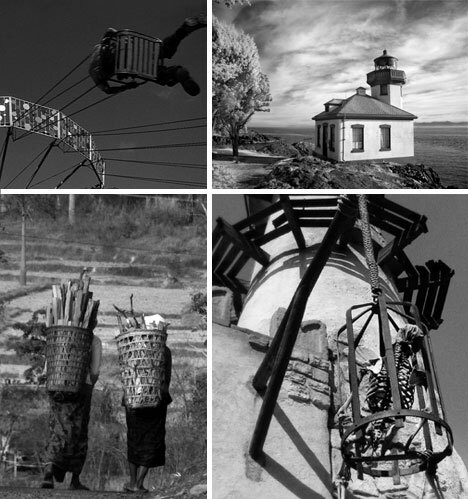 : Monochrome and duotone photography are not, however, limited to black and white. 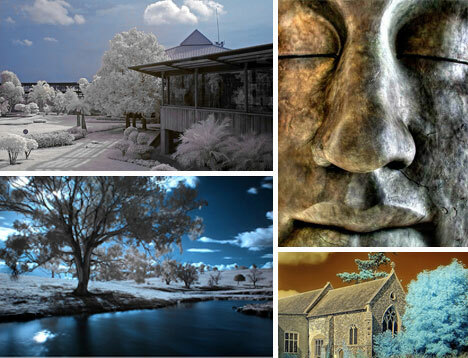 Many photographic artist make marvelous compositions from a single color, shade or tone beyond greyscale. These works can be potently expressive despite their singular colors. 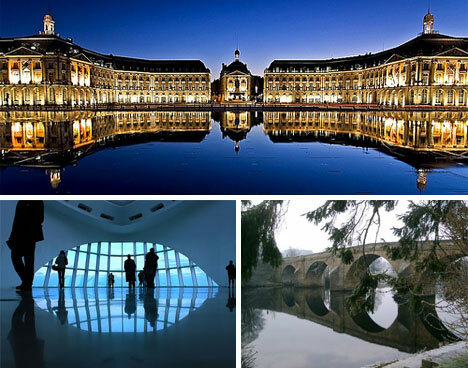 Mirrors are found in many places in nature and architecture – from smooth running streams to finely polished floors. Many photographers continue to experiment with the myriad possibilities of reflection that present themselves in our everyday experience. Scale are perspective are pervasive issues in the realm of photography – mastering them is one thing, but twisting them to a whole different purpose can be quite another. 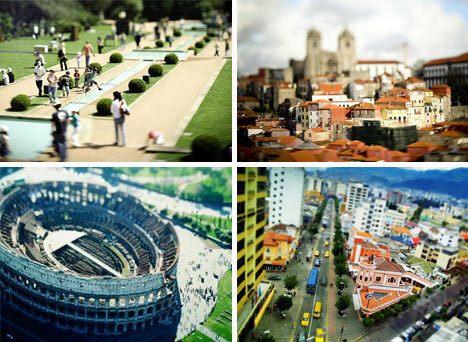 Tilt-shift photography tweaks our ideas of relative and real sizes and unique and creative ways. Who says you need a camera to take pictures? 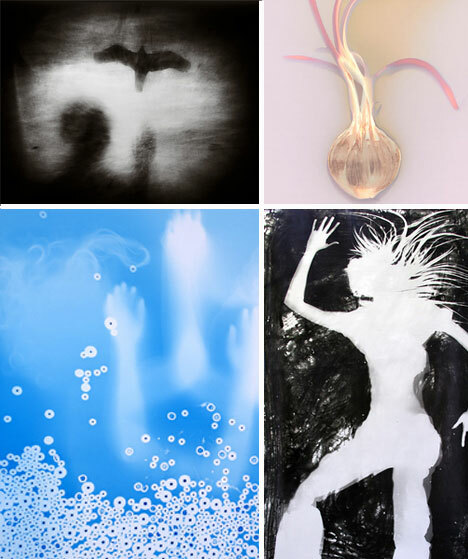 Long before cameras as we know them existed, innovative artists and scientists used these techniques to create images – creative contemporary photographers have returned to them as well. 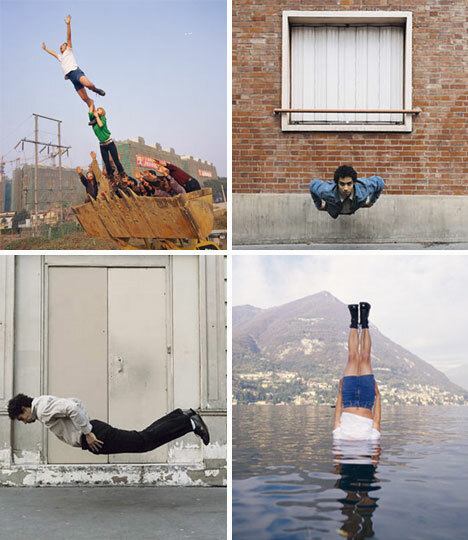 While they stage their work very carefully – to the point of it being as much about performance as freeze-frame photography – Denis Darzacq and Liwei have made an incredible art out of perfectly timed and angled photographs. As with Darzacq and Liwei, Michael Hughes has made a mission of somewhat less-than-serious but strangely compelling photography. 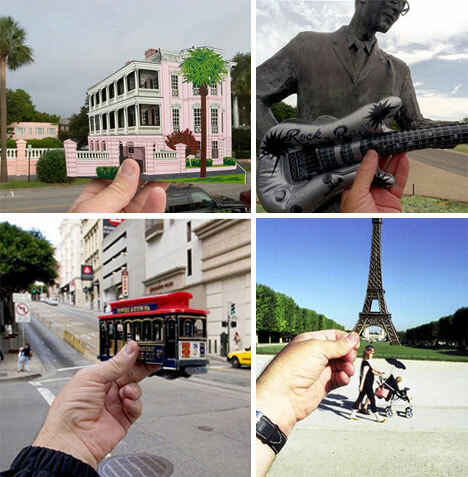 He travels the world and replaces real-life monuments and wonders with his own miniatures in self-made images.